Convergence is an exhibition of artists who address the complexities and intersections between the constructs of race, class, gender and the hierarchies of location and nationality. Rather than presenting artists’ practices as isolated works in a white cube space, Convergence creates networks of meaning through assemblages of artwork in all media, including video, sound, painting, sculpture, photography, performance and text from various artists. By facilitating new conversations between artists, writers and the audience, Convergence repositions the gallery as an incubator for community building. The second edition of Convergence opens this fall at the Aronson Galleries at The New School. In addition to the exhibition, we will also publish an online zine featuring artwork and writing selected through the Open Call. We welcome portfolio submissions from visual and sound artists, as well as writers from across the School. Portfolios can include up to ten works, be individual or collaborative, and should address the theme of the exhibition. Text submissions can be in any genre, including narrative, fiction, poetry, art criticism and academic writing. Selected artists and writers will be contacted for a studio visit or meeting with the curators, and the final works will be decided through engagement and discussion with the artist. Our Opening Reception on November 19th, 2018 will feature performances from artists selected through these studio visits. Our Closing Reception on November 30th, 2018 will host a public discussion with selected speakers and engagement with the audience. Both events are open to the public and The New School community. 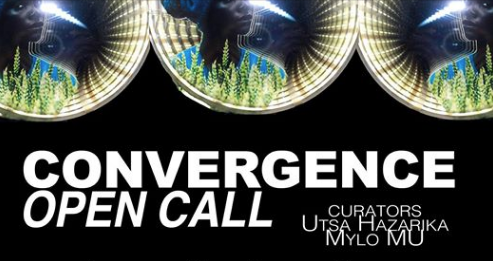 We invite submissions from visual and sound artists, as well as writers for Convergence, the second edition of an exhibition that addresses the complexities and intersections between the constructs of race, class, gender and the hierarchies created through locations and nationalities. Submissions should include a brief artist or author statement on the work submitted (~250 words), a brief artist / author bio (~100 words), project images (up to 10), and contact info and website (if available). Selected artists and writers will be contacted for a studio visit or meeting with the curators, and the final works will be selected through a process of engagement and discussion with the artist. In addition to the exhibition, we will also publish an online zine featuring artwork and writing selected through the Open Call.